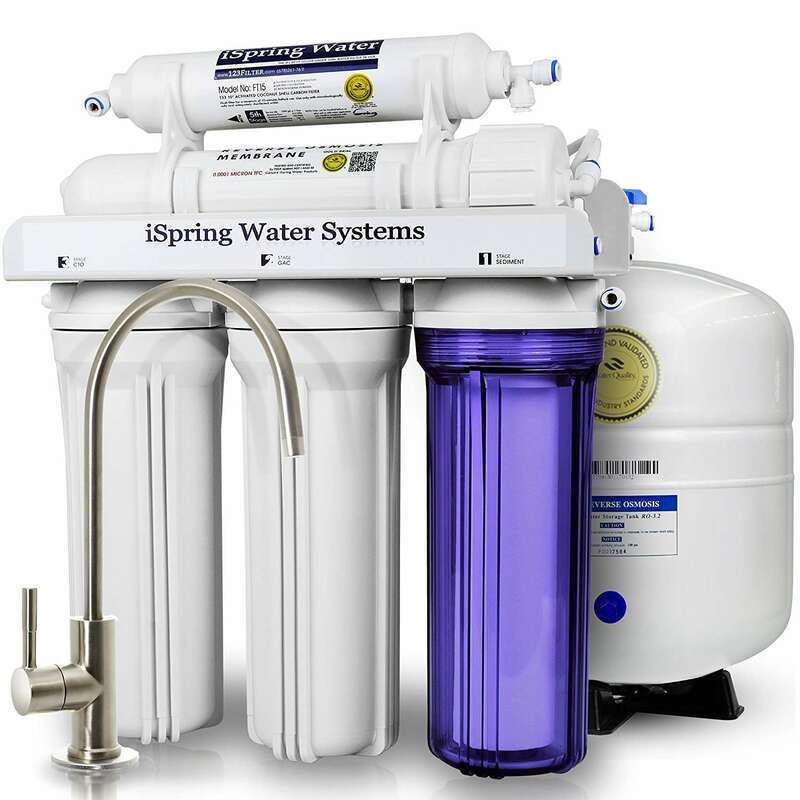 The Reverse Osmosis System (or simply RO for short) is a water filtration system. It works when water is put through a filter (in this case a porous membrane) to result in clean purified water. 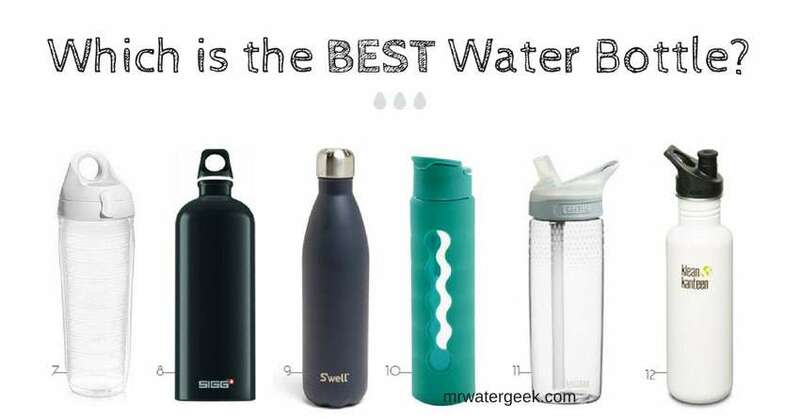 It is the most popular water filtration method on earth. Why? 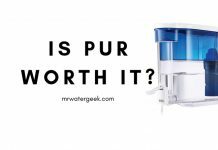 Because it is the least expensive yet most efficient method of purifying water. 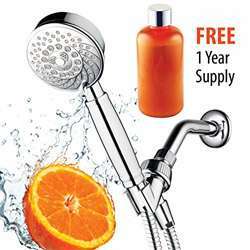 It also removes most harmful bacteria and chemicals. Reverse Osmosis Filtration: How Effective Is RO When Compared To Other Methods? 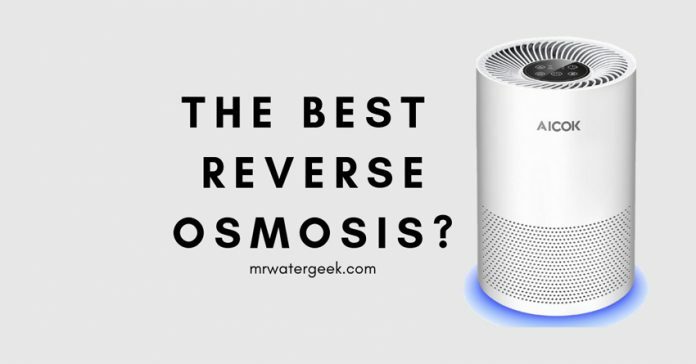 Why Use Reverse Osmosis For Drinking Water? 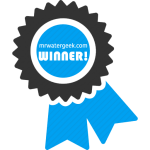 Tap Water Safety: I thought tap water was safe to drink? RO Water Vs. Bottled Water? 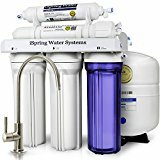 Reverse Osmosis System For Home? Reverse Osmosis System For Coffee? 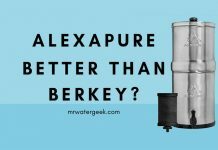 So, Which Is The Best Home Reverse Osmosis System? The reverse osmosis system works when water is separated by a membrane that acts as a filter which removes particles and unwanted chemicals. 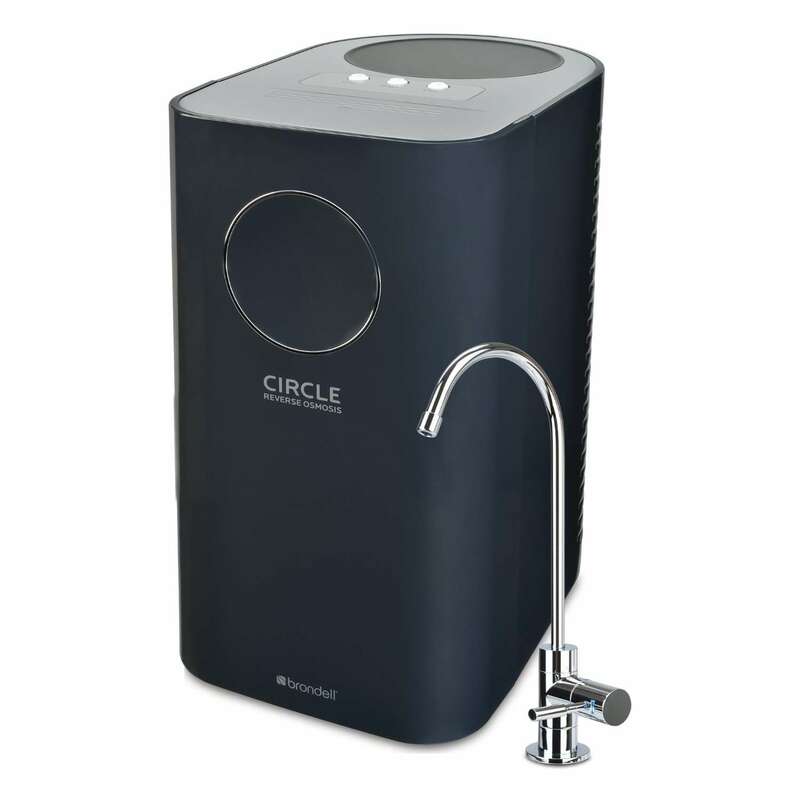 The water is purified to a standard clean enough for drinking and cooking. This filtration system removes things like particulates, dust, cysts, lead, arsenic. It also removes things like like rust, nitrates, chromium, sand, silt, chlorine, magnesium, sodium, asbestos and copper. The video below shows how reverse osmosis membranes work in principle. In the most simple terms, a reverse osmosis membrane has a thin microporous surface (i.e. it is able to work as a strainer and sieve). The membrane flushes out impurities, but allows clean water to pass through. The membrane stops pyrogens, bacteria, and 85%-95% of inorganic solids from passing through. The answer is that RO is perhaps one of the most convenient and effective methods of water filtration. As has been highlighted many times in this article so far, RO works by using semi-permeable membrane filters but those filters are rated at 0.0001 micron (this is equal to 0.00000004 inch!). It is also the only technology capable of desalinating sea water (i.e. removing salt) and turning it into drinking water. Non RO water filters maybe able to do this to a lesser extend by using single activated carbon cartridge to purify and treat water. 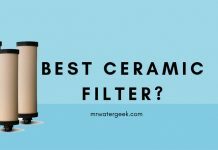 Some experts say that reverse osmosis filtration is far superior to other methods of water filtration. They say this because none of the others have such a small pore size. Although the others might be able to filter out sediments and coarse particles, they still struggle to filter finer and more dissolved substances. Most cities are based on a very old water plumbing system. Places like London for example have a plumbing system that is suffering from old age and wear from many decades of use. Another issue is that water contamination can happen at almost any point in the delivery system. Bacteria might come in from the main water supply, a lead leak from a corroded pipe solder. Or it might be something as simple as gardening chemicals accidentally siphoned back by a careless neighbour. Sadly, many government authorities do not have enough financial resources to address some of these very expensive problems now and into the foreseeable future. Having said all that tap water is 100% clean and safe to drink. In the UK, Thames Water go through a rigorous cleaning process that is outlined here, for treating tap water. However, tap water still contains some trace particles that you might not want to consume. For instance, there are many reports that UK water contains traces of estrogenic compounds (i.e. female hormones) and the US and UK government routinely add things like fluoride to the water supply. These substances are not harmful in any way but wouldn’t you like to be in control of what substances are in your water? I know I would. Read: Is Tap Water Safe to Drink? 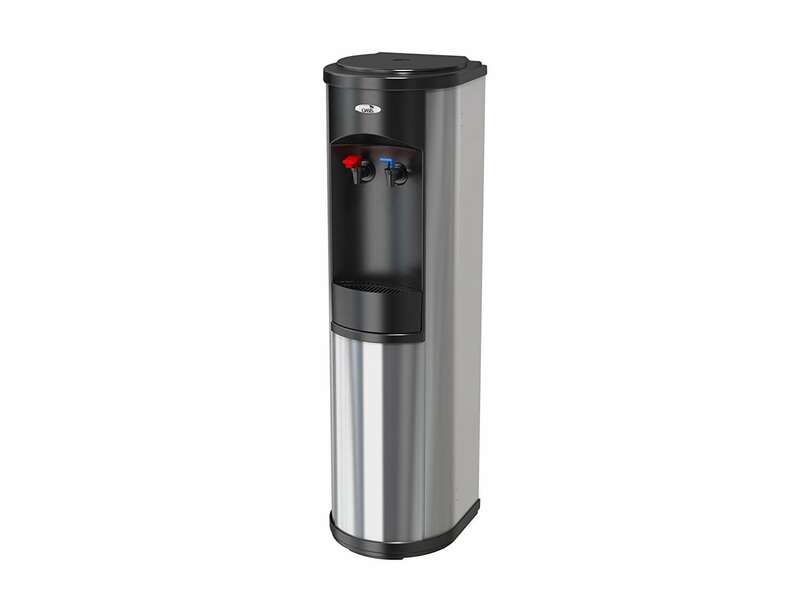 RO is superior to bottled water because it is purified to a larger extent. There are many reports that most standard supermarket bottled water generally contain slightly filtered tap water. When the reverse osmosis system is installed in your home and comes directly from your tap, it’s a lot more fresh when compared to stagnant water that has been sitting in plastic bottles. Also, some plastic bottles have BPA (bisphenol-a), which is used in industrial processes for creating plastic and could be hazardous to health. Finally, we can’t forget the environmental impact of plastic bottles that fill up our land fills. On the other hand, bottled water has the advantage over RO in terms of its convenience and cheaper costs. Although, the cost of buying bottled water adds up over time. Especially as installing an RO water system in your home can be complicated and you may need to hire a professional plumber. 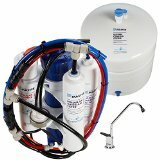 With a little bit of plumbing knowledge it is possible to install your very own reverse osmosis kit in your home. Below is a handy YouTube video that provides a comprehensive guide to how you can install RO in your home if you want to take this route. RO World UK – One of the UK’s Largest Suppliers. Pure Klenz Water – Online retailers of RO systems with UK wide delivery. Uni-Flo Services – Water treatment specialists that work on bigger commercial projects. - Five Stage EZ Turn (Easy open/close) Reverse Osmosis filtration system. - Plug in and play. - It is up to 10 times more efficient than conventional RO systems. Reverse Osmosis (RO) creates water that is essentially free from phosphates, nitrates, heavy metals and chlorine. This means that it is ideal for making up the base for freshwater or salt solution aquariums. Tap water is perfectly sufficient but as discussed in this article so far and other articles in this blog (e.g. is tap water safe to drink?). However, tap is generally full of non-harmful substances that could adversely affect your aquarium. This could be quite severe depending on the type of water that is in your neighbourhood. For example, some places like London suffer with hard water. If you are interested in this option, there are many clever and easy to install devices that you can buy to make sure you have RO water in your aquarium. Reverse osmosis is a process often used by industry to produce clean water because of its cost efficiency and effectiveness of removing most impurities found in water. It is important to note that RO does not remove all contaminants from water that come in the form of dissolved gases e.g. carbon dioxide and dissolved oxygen might not be removed. Having said this, reverse osmosis is very effective at removing other substances from waste water. Particularly substances like solvents, some pesticides, some volatile organic compounds (VOC’s) and trihalomethanes (THM’s). Water is one of the most underrated ingredients of tea and coffee. 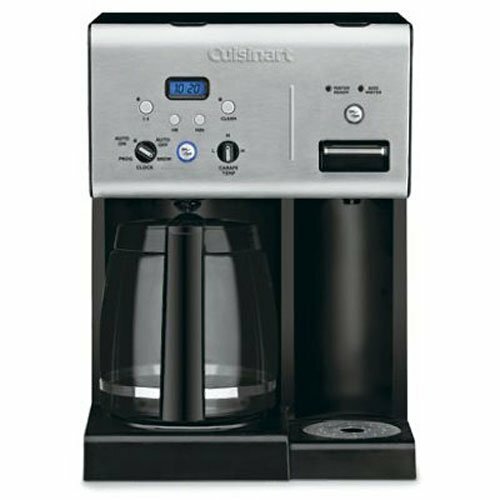 Many people swear by using filtered water for their coffee. Using tap water in your kettle might mean that your kettle or coffee maker is full of limescale. But filtering your water with a system like reverse osmosis means that water tastes better and fresher. Thereby also improving the taste of your hot beverage. There are obvious problems with reverse osmosis such as the cost and complexity of installing it into your home. There are also some unsubstantiated reports that the hyper filtration system removes minerals from the water. This means that it does not hydrate the body as well as other types of drinking water. 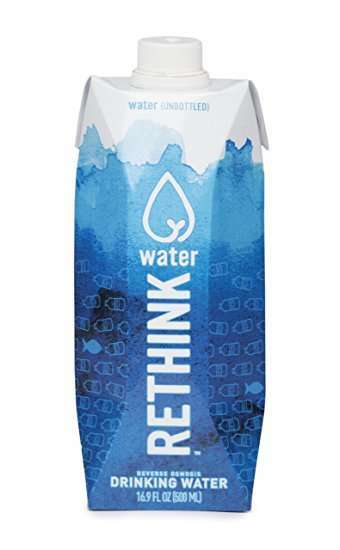 The claim is that the water produced by RO is “mineral-free”, sometimes called “hungry water”. Although, this is worth taking into consideration it flies in the face of the vast amount of evidence saying that reverse osmosis system water is clean, healthy safe water for drinking. The reverse osmosis system is a water filtration system. RO water is cleaner than tap water because most plumbing systems suffer from old age. Taps also suffer from wear and tear from many decades of use. There are some unsubstantiated reports that the hyper filtration system also removes minerals from the water. This means that it does not hydrate the body as well as other types of drinking water. But this flies in the face of the vast amount of evidence saying that RO water is clean, healthy safe water for drinking. It is possible to install an RO system in your home with a little plumbing knowledge or with the help of an expert. It’s superior filtration technology also means that it is a good choice for aquariums. RO water is also good for general every day use in the home for things like cooking, drinking and even making hot beverages like coffee.